If you have a love for culinary arts and cannabis, opportunities abound in Colorado. Amendment 64 to legalize the recreational sale and use of marijuana was recently passed by 1.36 million Colorado voters. The legal cannabis market was formerly limited to licensed marijuana dispensaries for approved medical patients, but next year marijuana-infused products will also be sold in retail stores. The opportunities are limited only by an entrepreneur’s imagination—corner cafes offering joints with frappuccinos and bakeries selling marijuana-enhanced goodies. The Colorado “green rush” in 2014 is set to far surpass the Colorado Gold Rush of 1858. The decriminalization is generating a boom among entrepreneurs ready to cash in on legal marijuana. Legal marijuana for recreational use is far more exciting than medical marijuana. Take the sophisticated pairing of marijuana and food in a May 2010 New York Times article that features some of the country’s most prominent chefs acknowledging the influence of cannabis, including Denver’s chef Scott Durrah. Master horticulturalist, chef and community leader, Scott founded the first organization dedicated to the creation and teaching of world-class cannabis cookery: Simply Pure. It’s the nation’s first vendor of gourmet, chef-created cannabis edibles that have been laboratory tested for purity, potency and consistency. Looking to create a dish using legal marijuana? Check out “The Official High Times Cannabis Cookbook” and Simply Pure’s “Simply Cooking with Pure Bud,” as well as TheCannabisChef.com. You don’t have to be a master chef to get in on the action. Bakers have budding careers in Colorado as well. 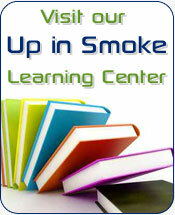 Bakked is already operating in Colorado and provides premium medicated products to licensed dispensaries. The menu includes locally grown organic ingredients as well as sugar free, gluten free, and vegetarian items. The super-critical extractions have been professionally tested and are certified to contain as much as 85.22% THC, as high as 11.3% CBD and a maximum of 2% CBN. Patients enjoy delicious infused candy, chocolates, cookies, pastries, and more. Legislation adopted in May permits medical and adult-use retail facilities to operate at the same locations with certain limitations. Local government must permit dual licensing, however. Licensed patients in Colorado will be able to purchase marijuana for medical uses from adult-use stores. It remains to be seen whether there will be legal marijuana cafes. It will depend upon the interpretation of the law. It is speculated that cafes will be allowed in Colorado in the near future as attitudes change and elected officials recognize the public demand and benefits. You could be among the next breed of chefs or bakers creating unique cannabis goodies not found in the town dispensary. If mixing culinary arts and cannabis is not for you, perhaps cannabis cultivation is. The initiative creates legal marijuana cultivation facilities, product manufacturing facilities, retail stores and testing facilities, and directs the Department of Revenue to regulate a system of cultivation, production (including infused products), and distribution. The Department will license marijuana establishments at the state level. Localities will be permitted to issue such licenses, or have the right to ban marijuana establishments through either their elected representative bodies, or through citizen-initiated ballot measures. Adults 21 and older are able to grow up to six marijuana plants (up to three can be flowering) in an enclosed, locked space. Culinary arts, a retail store, or cultivation—the choice is yours. Your career in legal marijuana could start in Colorado next year.